Until recently, Pennsylvanians had to go to the distributor for beer or hit the local bar for a six pack, but that changed with legislation passed in 2016. Stocking up for a party could mean trips to three separate stores. Until just recently, you had to go to a distributor if you wanted to buy a case of beer or more. If you wanted just a six-pack, you’d have to hit a bottle shop or get take-aways from a corner bar. 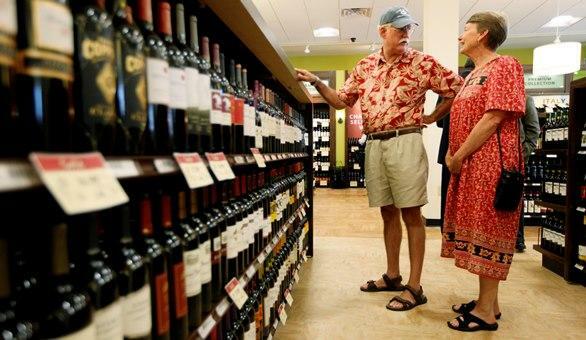 Then you would need to head over to the state-run Fine Wine and Spirits store if the occasion called for toasts over champagne or shots of the hard stuff. To newcomers it was madness. To old-timers it was just Pennsylvania, quaint and set in its ways. Bar owners, beer distributors, wine merchants, brewers, distillers, and drinkers alike learned to deal with it. What hope was there to change it? But then 2016 happened: the Year of the Unthinkable. Cleveland won a sports championship, thanks to the Cavs — and lost one thanks to the freakin’ Chicago Cubs, of all teams. (In the 10th inning of game 7, no less!) Brexit passed in the United Kingdom. Army beat Navy. Leicester City won the English Premiership. Kris Jenkins hit that three for Villanova with no time left. A Russian nesting doll of oxymorons — a populist billionaire Republican — won the U.S. presidential election. So, is it any surprise that, in this topsy-turvy year, Pennsylvania passed a liquor reform bill for the first time since Prohibition? Actually, the General Assembly passed three. Gov. Tom Wolf vetoed one but signed the other two in June and October, respectively. When both laws go into effect in early 2017, the Keystone State will drop its Keystone Kops approach to regulating rotgut. But starting in the ’90s, customer frustrations and free-market fussing created a groundswell for liquor law liberalization. First, the PLCB tried to appease customer-taxpayers by beautifying the stores and stocking the shelves better. Next, they began to interpret statutes a little less strictly. “R-license” holders (bars and restaurants) have been able to sell beer to go. Then, in 2010, some Pennsylvania supermarkets realized they could sell beer, too, if they created a space with seating and food options — in other words, a “restaurant,” per the letter, if not the spirit, of the archaic law. When the first bill, Act 39, went into effect in August, the 11,000 or so holders of R licenses and hotel liquor licenses were allowed to apply for wine-to-go permits. Bars, restaurants, and those beer-slinging supermarkets can sell bottles of wine to take home. Previously, state stores were required to hit consumers with an 18 percent markup. Now, they can tweak the markup to maximize profit — raising prices on the hottest sellers and dropping them on the dusty drams taking up valuable shelf space. Whether or not Punxsutawney Phil sees his shadow, elbow-benders can darken bar doorways well into the night. His big day is now exempt from the regular serving hour restrictions if it falls on a Sunday. Before, only St. Patrick’s Day and New Year’s Eve received that special dispensation. No more case requirements at beer distributors! Retail beer distributors suddenly felt the pinch of competition, so the PLCB started letting distributors sell 12-packs. Then the General Assembly in October removed the minimum-size restriction altogether. Now distributors can sell six-packs or even single beers. Pitiable Pennsylvanians have been persuaded for years to import their favorite tipples from New Jersey and Delaware — if they didn’t mind a little law-breaking. But now, arguably, Pennsylvania is a better bet for booze buying than its neighbors. In the First State, supermarkets can’t sell any sort of alcohol — no semi-detached “restaurants” with six-packs to go allowed. Alcohol can only be purchased in liquor stores and bars. Breweries, distilleries, and vinyards can sell their own wares, too. Like Pennsylvania, New Jersey loosened its laws a bit, but each grocery store chain there is limited to two licenses only, meaning liquor stores and bars are still the best option. Nothing in this world is perfect. Pennsylvanians still can’t get bourbon and beer in the same place, but at least we can get a six-pack, a bottle of wine, and the week’s groceries in one stop. The Pennsylvania Senate has approved legislation that would allow beer distributors to sell beer for off-site consumption in any amount, including six-packs and growlers. The bill, approved Monday, would let manufacturers ship up to 192 ounces of beer to consumers each month. Consumers would also be able to buy mixed drinks at the state's sporting venues that currently sell beer. The legislation now heads to the state House of Representatives. A spokesman for Wolf was non-committal Monday night on whether the governor would sign the bill. A grocery store in Pennsylvania has become the first since Prohibition to sell wine in the state. A Giant Eagle store in Robinson Township will sell wine beginning Friday. Only state-owned liquor stores had been allowed to sell wine since the nationwide constitutional ban on alcohol that lasted from 1920 to 1933. The Pittsburgh Post-Gazette reports store officials and Republican House Speaker Mike Turzai plan a ceremonial Champagne toast to mark the occasion.